Rapidly-depleting police cash reserves have dropped by £60million in seven years – and crime chiefs have warned that further cost-cutting will be needed as a result. Latest figures show that Northumbria Police’s general reserves have reduced massively from £71million in 2010 to just £9.1million. General reserves are held as a contingency for unexpected events or emergencies and to help cushion the impact of cuts, but Police and Crime Commissioner (PCC) Dame Vera Baird says the force is in an increasingly ‘vulnerable’ position as its resources decrease. Northumbria has endured the biggest financial cuts of any force in England and Wales since 2010 and has lost more than 900 officers in that time. Dame Vera said: “Since 2010, Northumbria Police budget has been cut by more than £135million, the Government are moving the responsibility of police funding from central Government to council tax payers – which is wrong. “The funding package for all police forces in England and Wales, put forward by Amber Rudd, assumed that Police and Crime Commissioners would increase the precept by £12.00 for a Band D property. “This isn’t new Government money, it is ministers dipping into the pockets of hard working council tax payers to pay for a service that Government should be properly funding. “The cuts have been so steep and so deep that we have had to use much of our reserves to fund day to day policing, to keep officers on the beat. “If reserves had not been used, we would have had to let hundreds more police officers go. A PCC report states that the force’s use of reserves ‘cannot be sustained’ and that further cost-cutting will be needed. Overall, the force’s workforce has been cut by 27% since 2010, including 244 PCSOs and 679 other staff. 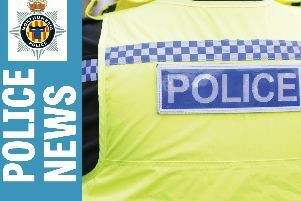 Northumbria held the lowest reserve levels of any police force in the country in 2017, according to the Police and Crime Commissioners Treasurers Society. The report adds: “The use of reserves is not a sustainable option going forward as balances are fast approaching minimum levels, beyond which our financial resilience and ability to respond to unexpected pressures will be severely limited. A Home Office spokesman said: “We have set out a comprehensive settlement to strengthen local and national policing, which will mean police funding will increase by up to £450 million this year. “Northumbria will increase their funding by around £5.2million following the Police and Crime Commissioner’s decision to use her council precept flexibility. In March 2017, Northumbria had reserves equivalent to seven per cent of their annual budget.